I become angry like Captain Haddock when it is this noisy. Anfäktar och anamma! Recorded at Victoriateatern, my favorite place in Malmö. I have also red a lot about Beethoven, since I write the texts to the booklet (not done yet, Christina, but it is seriously under way…). The sonatas on this volume is written during 1799 to 1801. A short time, but very happening in Beethoven’s life so it’s real fun. He started to realize that he was losing his hearing, and he had a serious love affair, plus he wrote an amazing amount of music. More about all this will be in the booklet, of course. On to the silly thing of the week! When I tell people that I play hockey, they often seem concerned that it’s bad for the hands and fingers. So, here is a little video where I show how the hands are protected! I will travel to Sweden tomorrow, to Gävle: recording of Tobias Broström’s Piano Concerto is next week. Looking forward to play it, record it and to meet Tobias again, as well as the orchestra. I’ll tell you how it went next Friday. By the way, editing recordings is probably the most boring thing one can do. It is tedious, tedious crap to do, but someone’s gotta do it. Recording is fun, mixing is fun. Editing, not. 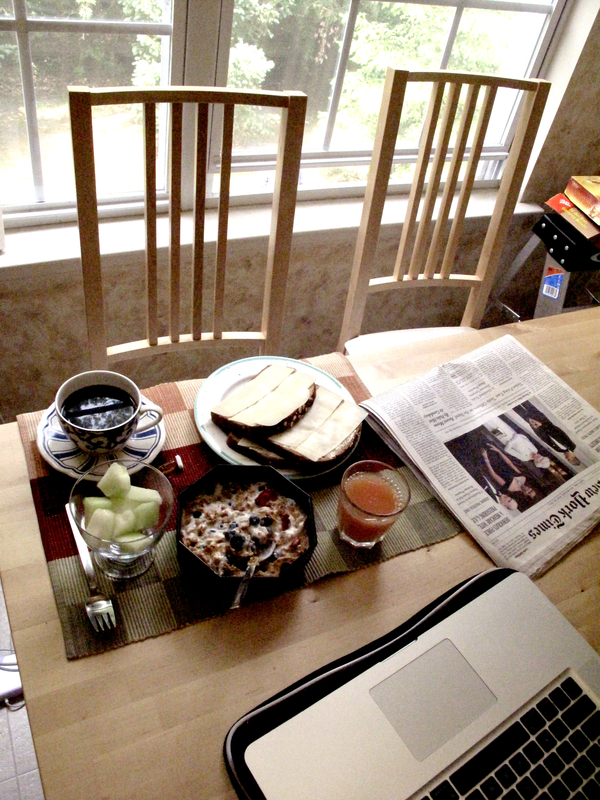 Everytime I have my last breakfast at home before traveling, it feels a little sad. Because I love eating breakfast at home. What can beat this in the morning? Bon apétit, See you next Friday!